The 230-600 Series Barometric Pressure Sensors offer unparalleled performance and flexibility for atmospheric pressure measurement. The barometer is available in two configurations to satisfy a variety of applications; Model 230-600C provides a 4-20 mA current output, 230-600V provides 0-5 Vdc output. 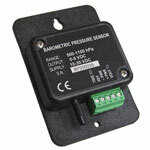 Both models offer serial output in addition to the analog signal. 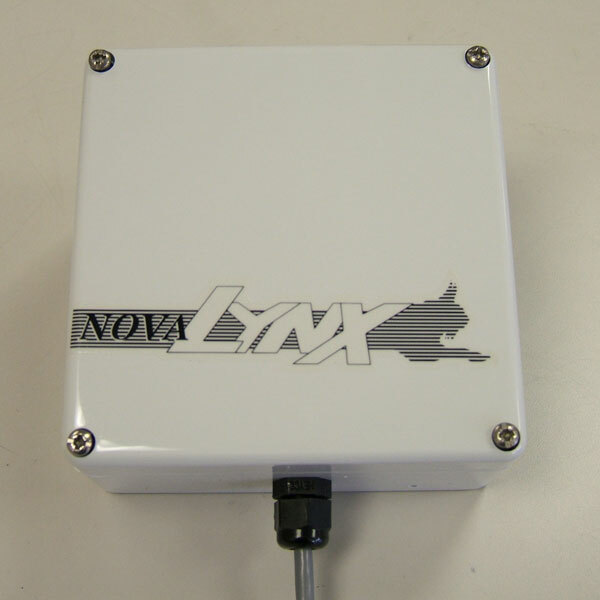 When ordered with a NovaLynx data logger, the barometer can be mounted inside the data logger enclosure. For other applications, the 230-601 series consists of the same 230-600 PCB mounted inside a weathertight polycarbonate enclosure and includes 25' of output signal cable. Cable connections are inside. Mounting hardware is available for easy attachment to towers and masts. Other pressure ranges within the 500 to 1100 mb span may be selected via software commands but the full scale output signal range will always be the same, 0-5000mV. For example, 750 to 850 mb = 0-5 Vdc. Enclosure 4.7" x 4.7" x 2.25"